When thinking of traveling Thailand, palm fringed beaches on tropical islands come to mind. Thailand is not all sand, sea and surf though and the endless things to do in Chiang Mai has seen it rise to a top holiday destination in Thailand. Its attractions include mountains and forests which you can explore through its national parks, spa retreats in Chiang Mai are winners at their game and the old city with its ancient history and culture should should be on your must do and see list. Whether you are adventurous, history and culture orientated or just need to be pampered in a tranquil and scenic environment, you will find Chiang Mai an exotic treasure chest and below we offer a glimpse into only a few of its exiting attractions. 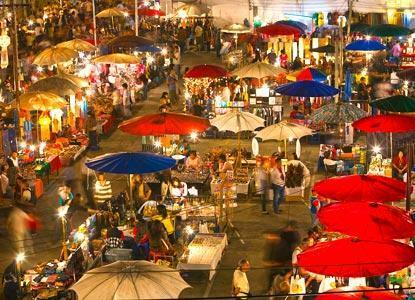 If you think the markets of Bangkok are cheap, be sure to visit the markets here, especially the night market. Located in the heart of the city, it is one of the biggest tourist attractions and within walking distance of city hotels. Take a leisurely stroll through the many stalls where you will find beautiful handicrafts, spices, silk, silver items, gems, cheap fake labels and much more, plus countless restaurants are nearby. 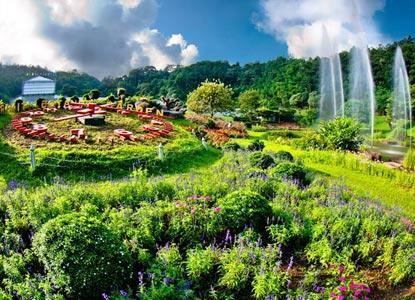 Queen Sirikit Botanical Gardens, named after Her Majesty Queen Sirikit which was established in 1993. It is the first botanical garden in the region, home to native and tropical species from abroad and an international recognized center for botanical study and research. Several walking trails exist through the gardens and apart from being beautiful made even more so by its surroundings, a trip here will be quite educational.